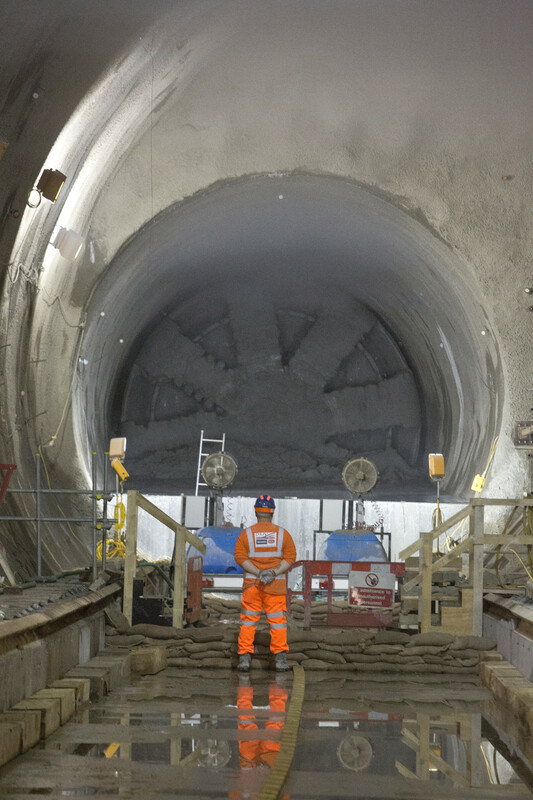 Crossrail tunnelling machine Ellie completes journey at Stepney Green - Crossrail . For information about the Elizabeth line please visit the Transport for London website. 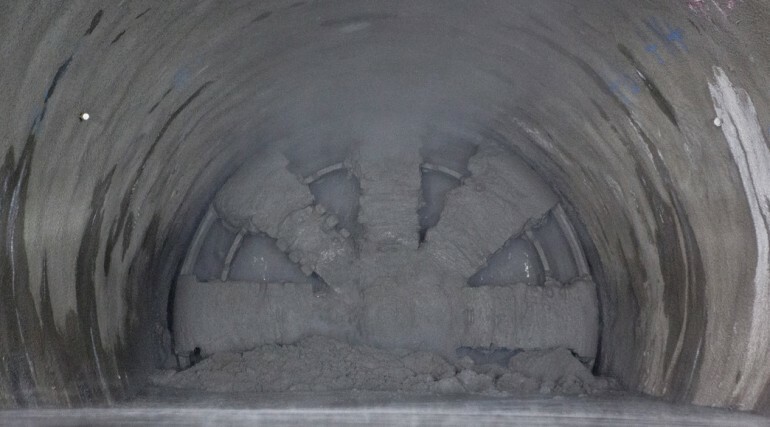 Tunnel Boring Machine Ellie has broken through into a cavern 40m beneath Stepney Green, in the East End of London. 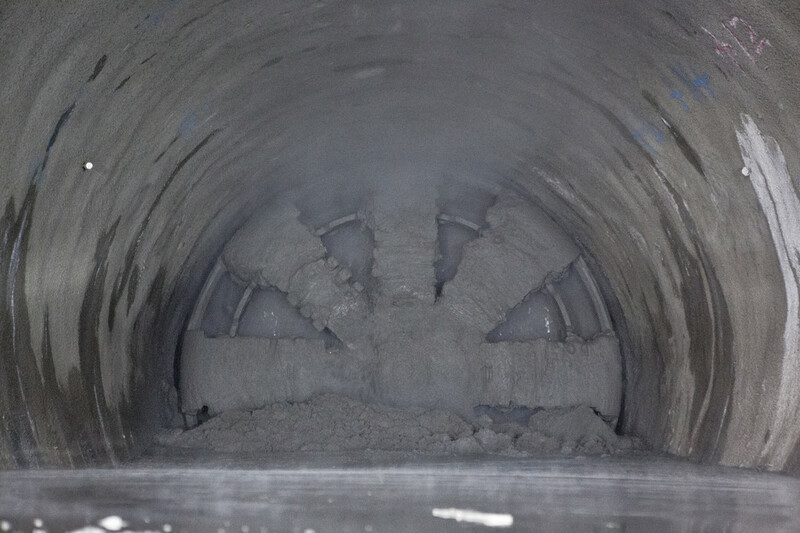 The breakthrough marks the structural completion of tunnels for Crossrail’s north east spur, between Whitechapel and Pudding Mill Lane. It has taken Ellie just over three months to complete the 2.7km journey, travelling as much as 72m in a 24 hour period. In the coming weeks 1,000 tonne Ellie, named after Paralympic Champion Ellie Simmonds OBE, will be lifted out of the cavern and taken by road to Limmo Peninsula at Canning Town. 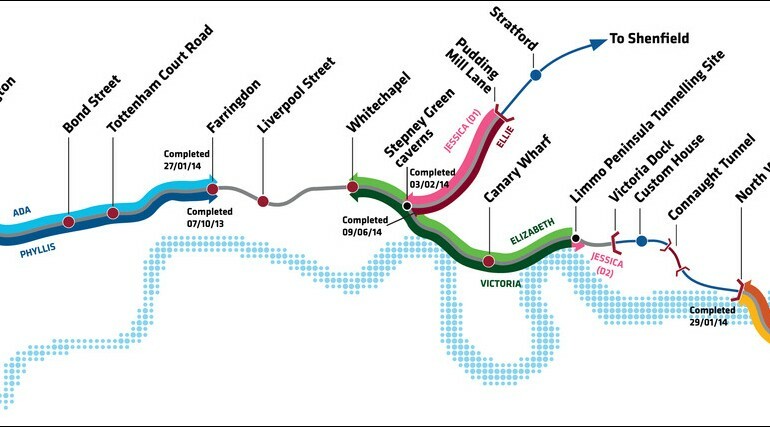 From there she will be re-assembled ahead of recommencing tunnelling towards Victoria Dock Portal. It is estimated that Crossrail will generate at least 75,000 business opportunities and support the equivalent of 55,000 full time jobs around the UK. 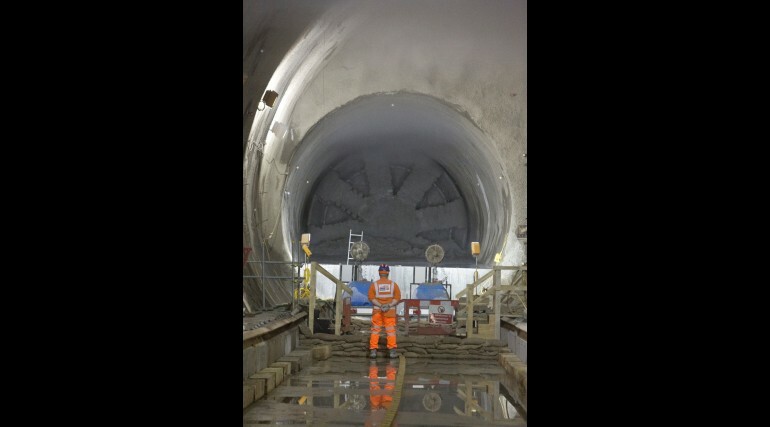 In addition to Crossrail, 61,000 jobs are created around the country annually through TfL's investment programme.